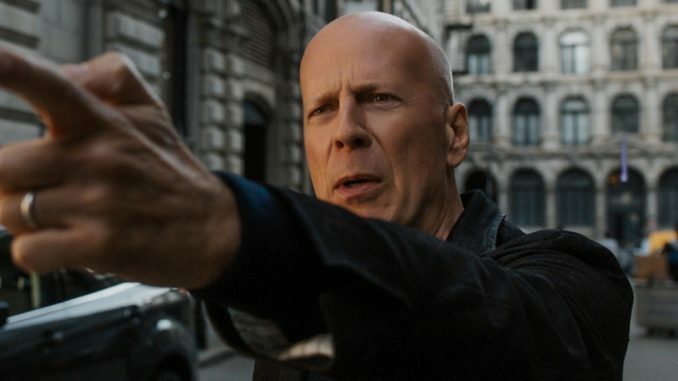 Dan Murrell and Roth Cornet review director Eli Roth’s remake of Death Wish, starring Bruce Willis. Death Wish is a 2018 American vigilante action film directed by Eli Roth and written by Joe Carnahan. It is the sixth installment of the Death Wish series and a remake of the 1974 film of the same name starring Charles Bronson, based on Brian Garfield‘s 1972 novel. The film stars Bruce Willis as Paul Kersey, a Chicagodoctor who sets out to get revenge on the men who attacked his family. Vincent D’Onofrio, Elisabeth Shue, Dean Norris, and Kimberly Elise also star. The film was released in the United States by Metro-Goldwyn-Mayer and in international markets by Annapurna Pictures on March 2, 2018. It received generally negative reviews from critics, many of whom criticized it for not adding anything new to previous installments, as well as for the timing of its release just 16 days after the Stoneman Douglas High School shooting.